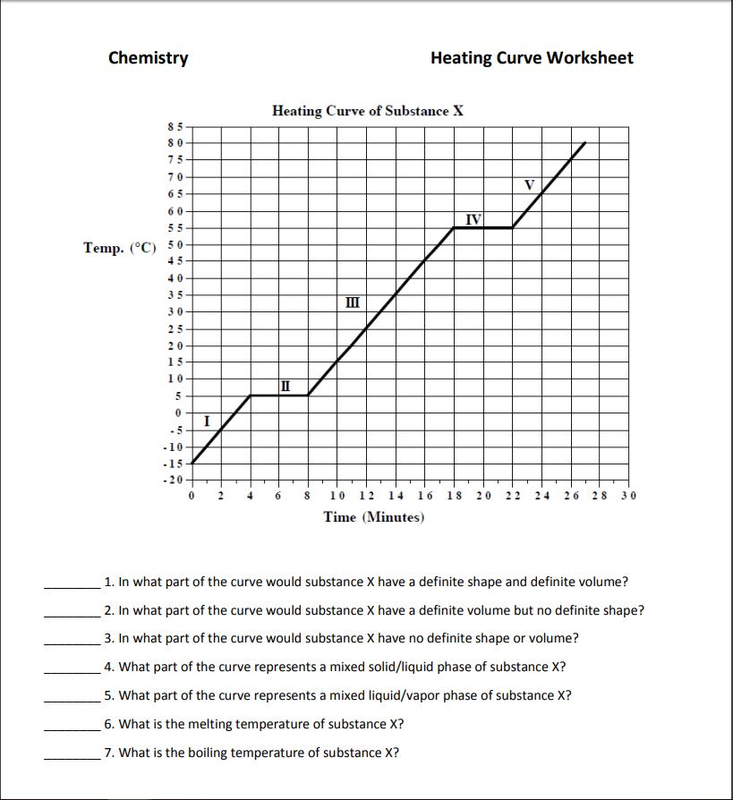 Practice on analyzing that parts of a heat curve. In what part of the curve does substance X behave as a solid? How can you justify your answer to number 1 being correct? In what part of the curve would substance X behave as a liquid? How can you justify your answer to number 3 being correct? In what part of the curve does substance X behave like a gas? How can you justify your answer to number 5 being correct? What part of the curve represents a section where substance X is both a solid and a liquid? How can you justify your answer to number 7 being correct? What part of the curve represents a section where substance X is both a liquid and a gas? How can you justify your answer to number 9 being correct? At what temperature does sustance X start to melt? At what temperature does substance X start to boil?